The year was 1992 or so, and on the front counter of Cornell's Ag & Life Science Library was a terminal that offered easy access to all sorts of resources and information, including weather (useful in Ithaca, where morning sun could turn to 8+ inches of snow by afternoon on any given winter day), sports scores, and more. Some of those services were offered using gopher, a cross-system information system that disappeared when something called the World Wide Web overran it with a more compelling interface, graphics, and a less menu-driven approach. I got used to using it, and grew to like it. There was something homely and honest about gopher. In those days, the Internet was alive and vibrant, but it consisted of telnet and FTP sites, and information servers running things like WAIS and Veronica. Gopher excelled at file and information delivery in an age when content mattered and style issues weren't even an option. 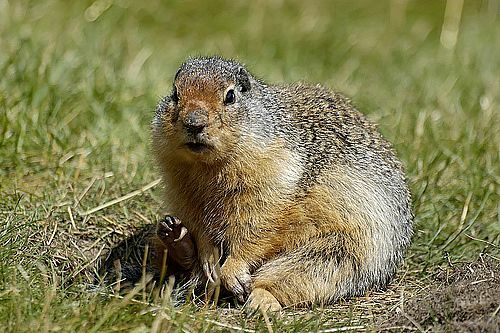 Gopher is a distributed document search and retrieval network protocol whose gopher protocol offers some features not natively supported by the Web. One distinguishing factor is that it imposes a much stronger hierarchy on information stored on it. Its text menu interface is well-suited to computing environments that rely heavily on remote computer terminals, common in universities at the time of its creation. Some consider it to be the superior protocol for storing and searching large repositories of information. I wouldn't necessarily argue that it's a better protocol, but I do have some appreciation for the ascetic draw of plain text files organized efficiently. So I've redone this site in gopher. If you've got access to a browser that can read the gopher protocol (Unix users: lynx is your best bet; Firefox users, see the overbite project for a simple/effective plug-in; everyone else: get a better browser! ), have a look at gopher://therandymon.com. It's fun to write out a URL that doesn't start with HTTP, because gopher doesn't necessarily do hypertext. It's up to date, meaning the 250+ articles on this site, representing 10+ years of writing, not to mention all the Woodnotes Guides I offer in PDF, and a couple new things I'm thinking of, are now all part of the gopher universe. Not sure, but it's potentially one of the bigger gopher sites out there! Not bad for an information nostalgist.